Playing time = 5 : 38 minutes. Flash file size = 25,759 kB. 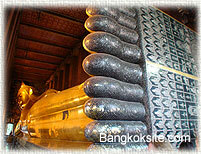 and the Reclining Buddha Image.